Imola is a relatively small provincial town that attracts visitors by its ancient architectural places of interest, wonderful museums and unforgettable landscapes. However, these facts are not the reasons for popularity of this place. There is a highway that is used in one of stages of Formula 1 competition nearby the town. When the compatition takes place in this region, the population of the city increases in several times. Fans of this sport come to Imola from different parts of the world. In 1988 a tragedy happened on the highways of Imola. A famous driver Ayrton Senna died there after a car accident. 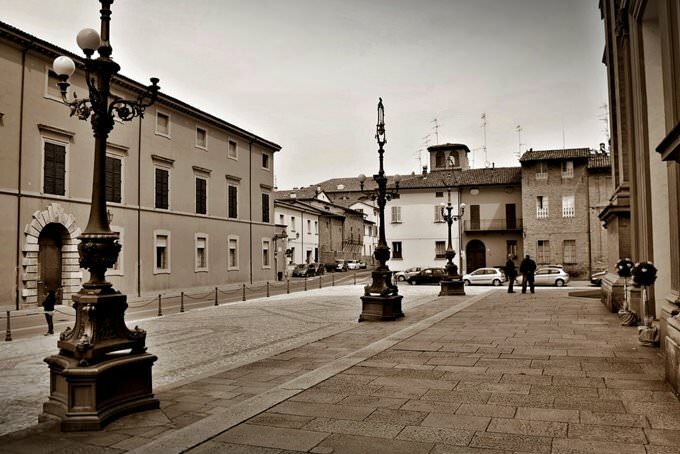 When describing the sights of the town, we simply cannot fail to mention Castelli Rocca Sforzesca di Imola located on the central square of the town. The building of the castle started in 1332. Prior to this this area was occupied by the town’s fort tower. During the Renaissance period new military facilities started appearing on the territory of the city and their protection required more large-scale buildings. 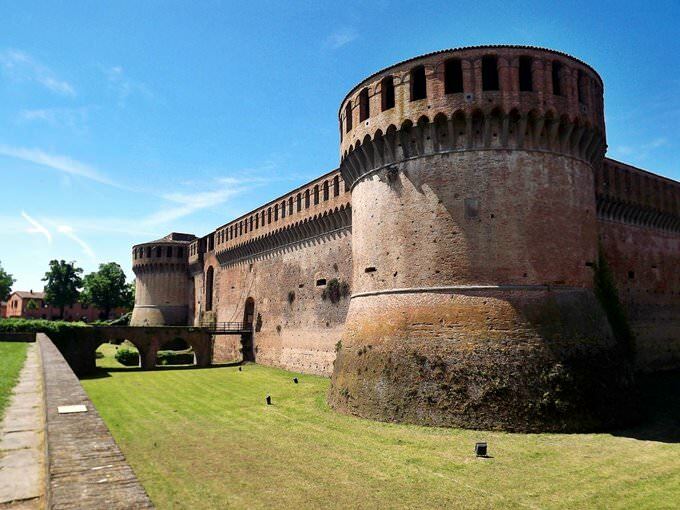 The building of the castle was ruled by the famous military persona Gian Galeazzo Sforza. The castle was named to honor its creator. This powerful facility managed to survive up to our days; it managed to survive after numerous attacks and many times the castle played the crucial role during protective activities. In the beginning of the 20th century the castle played the role of a prison used to keep the Nazi criminals. Today the building is fully turned into a museum complex. In addition to an ancient fortress, the city still has many unique buildings of the 15th century. One of the oldest buildings in the city is the Church of St. Augustine, which was built in the 13th century. In this church, there are many original elements of design and unique religious relics, which can be admired today by absolutely everyone. Lovers of architecture will certainly like the beautiful palaces of Riario and Volpe. The latter is also known to many travelers under the unofficial name of “The Fox Palace”. In many ancient palaces today, are open interesting museums, which present visitors with rich collections of ancient works of art, antique furniture and other intriguing items of antiquity. Fans of art will be interested to visit the Museum of Risorgimento, which is also located in a classy palace. Here, you can see wonderful paintings and tapestries of local artisans. Some works of art are more than 300 years old. 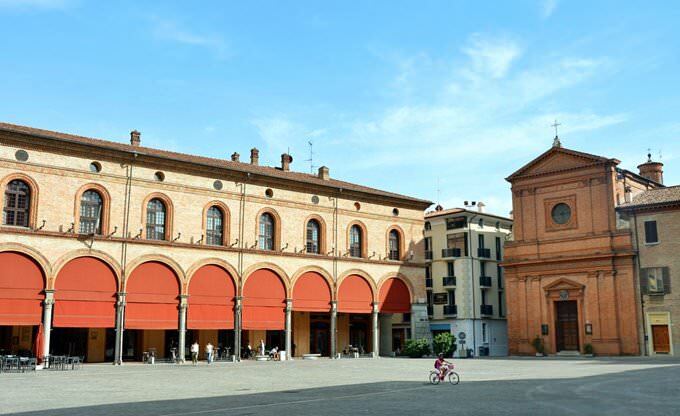 Travelers with children in Imola will be interested to visit the Museum of Science. There are a lot of original interactive exhibits in it. During the excursion, visitors are offered to conduct interesting experiments on their own. The tour of this museum promises to become incredibly cognitive, not only for children, but also for adults. In the immediate vicinity of the city is the old winery Tre Monti, whose name from Italian literally translates as “Three Mountains”. It is also a popular sightseeing facility. In this winery, exciting excursions are organized for tourists. During the tour, vacationers will be offered to take a walk through the old vineyards. Just like many years ago, today chemical fertilizers are not used at all. In addition to wine, grappa is also produced in this old factory. An excellent store works here. 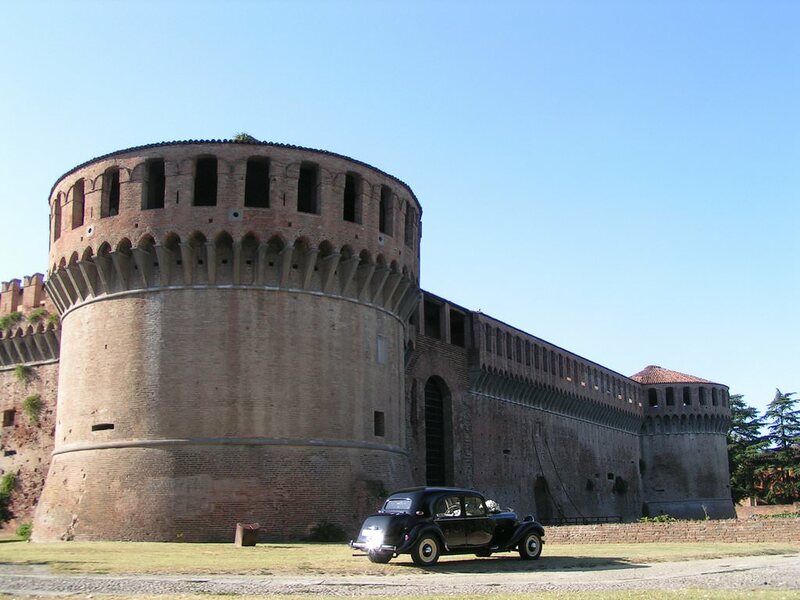 In addition to historical attractions, Imola is famous for its picturesque natural places. In the vicinity of the city, there is a huge selection of interesting places for hiking and cycling. If you do not want to go far beyond the city, you can stroll through the wonderful Parco Tozzoni. It is very large and beautiful and on its territory, there are huge fir trees, as well as many other interesting plants and trees. Here you can easily find a place for a secluded holiday. 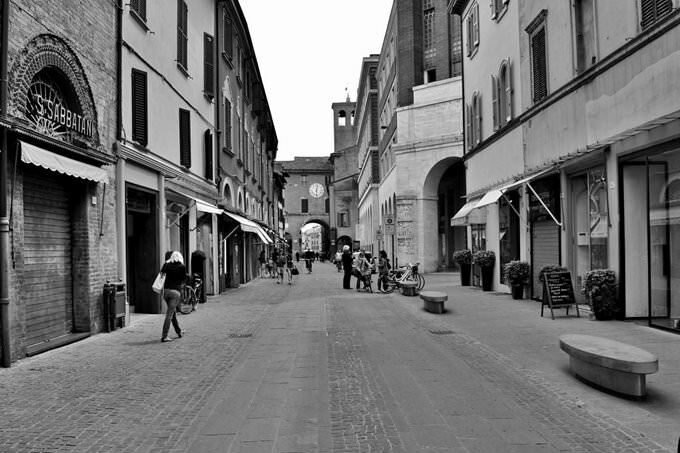 This guide to iconic landmarks and sights of Imola is protected by the copyright law. You can re-publish this content with mandatory attribution: direct and active hyperlink to www.orangesmile.com. Check on the map: Distance from Imola center - 44.8 km. All about Imola, Italy - sightseeings, attractions, touristic spots, architecture, history, culture and cuisine. 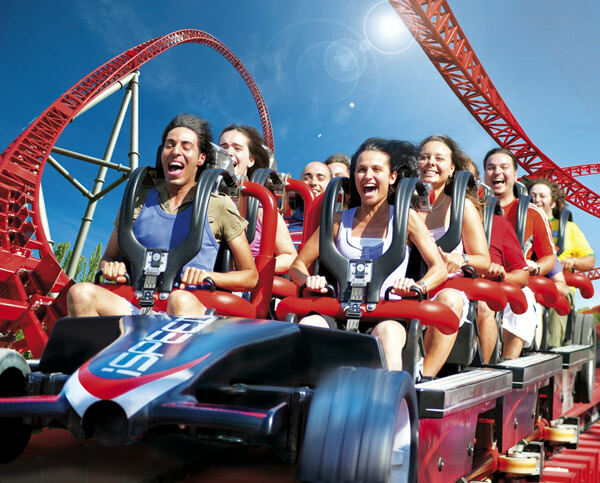 Prepare your trip together with OrangeSmile.com - find out the 'must see' things in Imola, which places to visit, which excursions to take, where the breathtaking views are waiting for you. Planning your trip with this travel guide will help your to get the most out of Imola in few days.